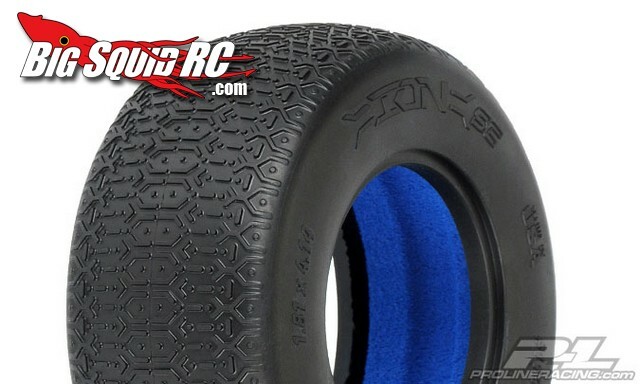 Pro-Line Ion SC Tires in MC/Clay Compound « Big Squid RC – RC Car and Truck News, Reviews, Videos, and More! What’s that old saying, “Power is nothing without control.”? Well mount up a set of Pro-Line Ion SC tires and be dialed for your local high bite clay track. The new Ion’s come in Pro-Line’s popular MC clay compound, run about $25 a pair, and come with closed cell inserts. Hit up THIS link for even more information. Have you read our Pro-Line Traxxas Performance Transmission review yet? Check it out right HERE.